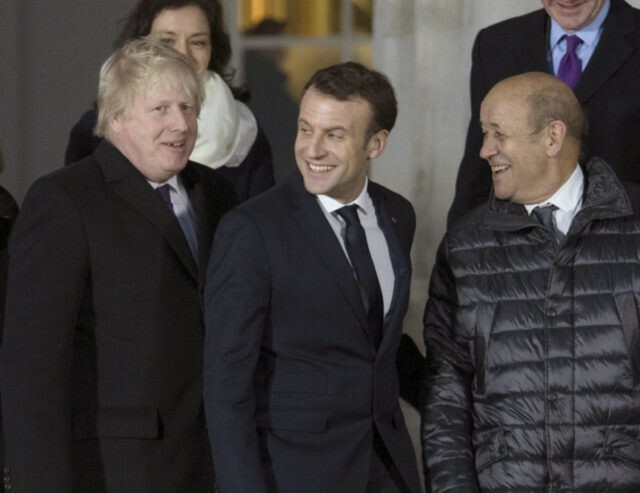 LONDON (AP) — British Foreign Secretary Boris Johnson has suggested that Britain and France should build a bridge across the English Channel to bolster links between the two nations after Brexit. At a U.K.-France summit, Johnson said the idea of a bridge was worth considering. He said it’s ridiculous that countries 20 miles (32 kilometers) apart are linked only by a single railway tunnel. Johnson neglected to mention that there are also sea and air links between Britain and France. Ian Firth, past president of the Institution of Structural Engineers, said Friday that a bridge was “entirely feasible.” But shipping firms warn it could disrupt one of the world’s busiest shipping lanes.